Living in a state of denial. 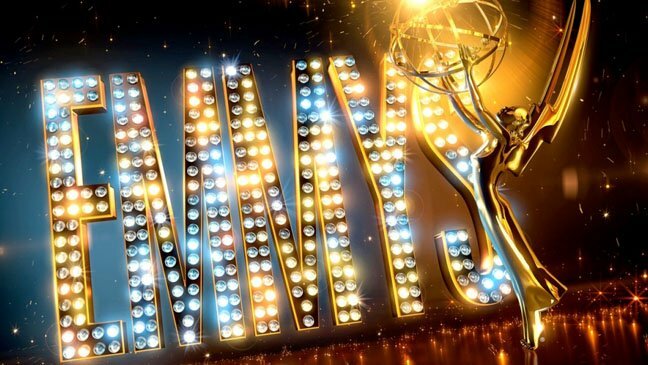 By now you’ve had a chance to check out the list of 2014 Emmy nominees. Not to take away from those honored, but, well, what’s the morning after an awards nomination without moaning about what the nominations should have looked like? To that end, here are The Mary Sue’s (quasi-joking) picks for who should be going for the gold on Emmy night. Note: Jill’s out of the office today, so we have permission from her to nominate TATIANA MASLANY (caps necessary) in every single category. Orphan Black fans, you know what’s up. We’re also completely ignoring the fact that Penny Dreadful technically won’t be eligible until next year. Veep (Victoria)—but Orange is the New Black can give it a run for its money. Doozers (Glen)—If toddlers were allowed to be Emmy voters, this would sweep every category. Steven Universe (Susana)—The best new action cartoon series I’ve seen since Adventure Time. Game of Thrones (Rebecca)—Look at that, it did get nominated! Breaking Bad (Victoria)—Sorry, Game of Thrones. Breaking Bad (Dan)—To be clear, I think True Detective will win, but I prefer Breaking Bad. Hannibal (Liz)—Only because Game of Thrones was already picked by Rebecca and I couldn’t decide! Penny Dreadful (Glen)—Because it’s probably the best adaptation of Frankenstein. Elementary (Susana)—For being the only drama that’s held my attention this year. Peter Dinklage, Game of Thrones (Rebecca)—He was nominated for supporting, but c’mon now. Though it’s probably best that he’s in a category where he’s not up against Breaking Bad and True Detective. John Slattery, Mad Men (Dan)—In my head, this show is about Roger Sterling being awesome and high-fiving everyone after Pete Campbell zingers. Mads Mikkelsen, Hannibal (Liz)—Attractive in that “your face is weird” way. John Malkovich, Crossbones (Glen)—The show hasn’t really won me over, but Malkovich is terrific in it. Eva Green, Penny Dreadful (Victoria)—Yeah, it most likely didn’t make the cutoff this year due to its late premiere date. Eva still wins it. That’s how good she was. Robin Wright, House of Cards (Dan)—I’d be kind of afraid not to pick Claire Underwood. Jessica Lange, American Horror Story: Coven (Liz)—The Emmys think it’s a miniseries. It has multiple seasons!!! Totally drama. Eva Green, Penny Dreadful (Glen)—Everything Victoria said, plus that possession scene was bananas. Louis C.K., Louis (Victoria)—Jim Parsons seems like a delightful person and is very good at his job but oh god anyone but him this year, please. Bob Odenkirk, Better Caul Saul (Dan)—Don’t worry, Saul will make sure it’s a comedy. Hey, the series is supposed to jump around time-wise, so why can’t I? Pornstache (Pablo Schreiber), Orange is the New Black (Liz)—not actually a lead, but Pornstache! He can’t not win. Chris O’Dowd, Moone Boy (Glen)—Because who wouldn’t want Chris O’Dowd as an imaginary friend? Andre Braugher, Brooklyn Nine Nine (Susana)—Never underestimate the power of a (gay) straight man. Julia Louis Dreyfus, Veep (Victoria)—Although if Amy Poehler finally wins it, I will not be disappointed. Maggie Smith, Downton Abbey (Dan)—The Countess of Grantham certainly thinks she’s starring in a comedy series. Peter Dinklage, Game of Thrones (Victoria)—unless the Supporting Actor category is secretly a contest over which character is the saddest, in which case I think Aaron Paul wins. Vincent Kartheiser, Mad Men (Dan)—For the schadenfreude. Hugh Dancy, Hannibal (Liz)—He’s probably technically lead…but Mads Mikkelsen! Alex Price, Penny Dreadful (Glen)—Because Proteus was a real highlight of the show. Lena Headey, Game of Thrones (Victoria)—Picking between Skylar and Cersei was brutal, guys. Brutal. Lena Headey, Game of Thrones (Liz) – Can’t go wrong with drunk Cersei! 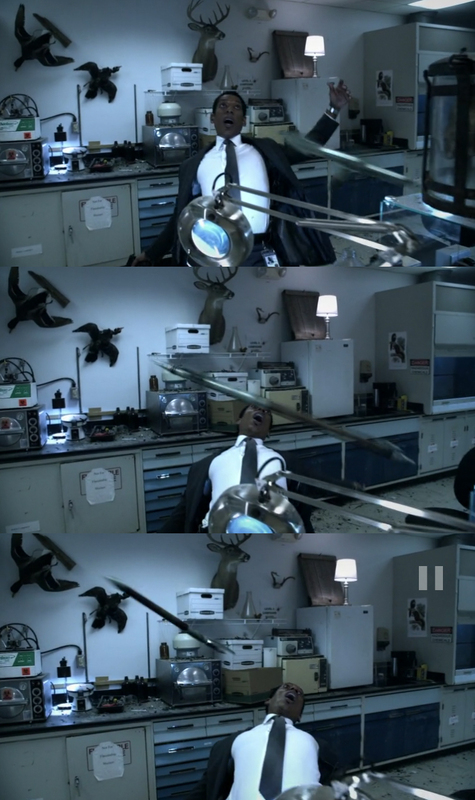 Orlando Jones, Sleep Hollow (Rebecca)—A, this show is so comedy, and B, look at this. Tony Hale, Veep (Victoria)—Runner-up is Andre Braugher for his delicious, delicious deadpan timing. Laverne Cox and Uzo Aduba, Orange Is the New Black (Victoria) First of all, Emmy awards, how dare you nominate these actors for guest instead of supporting. Secondly, how DARE you make me choose between them! You common cry of curs, whose breath I hate! The Entire Supporting Actress Cast of Orange Is the New Black (Dan)—The show with a supporting actress cast so great it took up two categories and still couldn’t fit everyone. They are all infinitely more interesting than Piper, so I pick all of them. Kate Mulgrew, Orange is the New Black (Liz)—I actually really agree with Dan. But Kate Mulgrew’s definitely one of my favorites! Indira Varma, Game of Thrones (Rebecca)—Those formal jumpsuits. Sophie Turner, Game of Thrones (Victoria)—Never have I been so happy to see someone change their hair color from red. Paul F. Tompkins, No You Shut Up (Glen)–Paul F. Tompkins’ sartorial game is on point. Everyone else can pack it in and go home. Pearl, Steven Universe (Susana)–Now everybody go watch this dang awesome show. Lyndie Greenwood, Sleepy Hollow (Rebecca)—JENNY MILLS FOREVER. The Wrong Mans (Glen) – Just the whole show. Fun, exciting, badass. Garnet, Steven Universe (Susana)–Watch the showwwww.